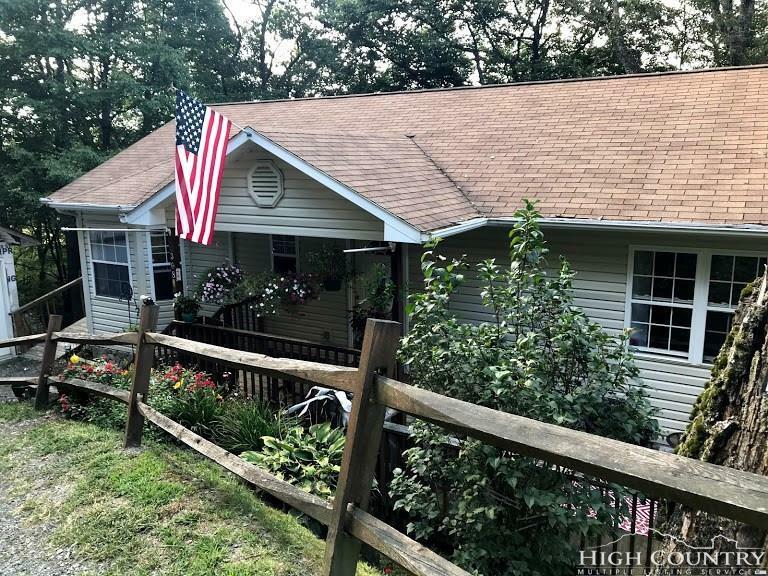 This single level living 2BD,1BA on just under an acre is privately tucked away in a quite community that backs up to the Blue Ridge Parkway. Home is less than a mile from accredited Parkway Elementary School and just minutes from all amenities in Boone with the makings for a great investment or first time homeowner. Upon entering a welcoming patio you are greeted w/ an open concept living area which is conducive towards a "social" kitchen area w/ large dining area and complementary high vaulted ceilings. With additional unfinished garage and space below that lacks minor finishes the potential is endless and feasible while gaining ample storage. Downstairs features cherry hardwood/tile and whirlpool tub making for an inviting Master on-suite. Come enjoy this quite backdrop and all that the High Country offers.